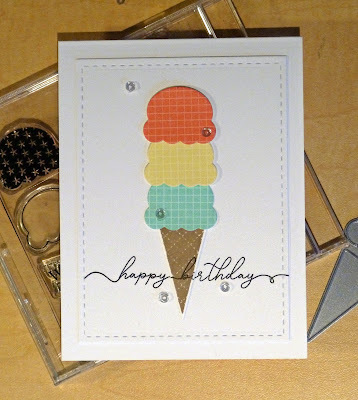 Just a quick post to share the only card I was able to make this weekend--playing along with PTI's Create Along with Us, where I was inspired by this card by Heather. 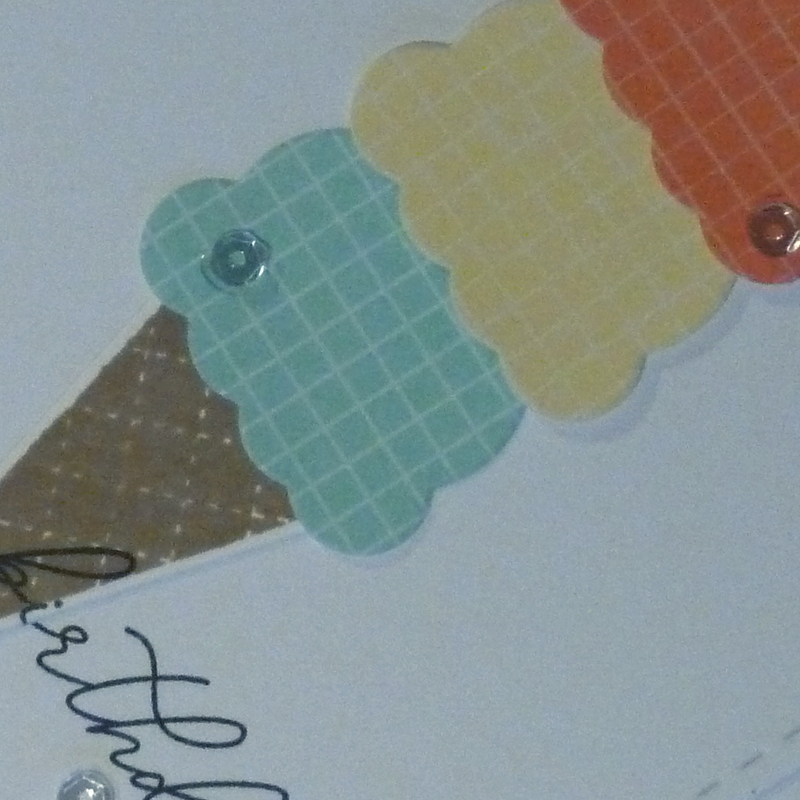 It was fun pulling out my old PTI ice cream stamps and dies, and now I want some actual ice cream. So sweet...love that ice cream cone Joyce! Clean and simple triple decker, Joyce, but perfect with the fancy sentiment! Super cute Joyce! 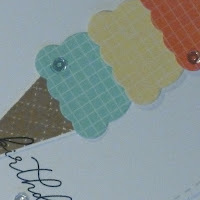 I like the patterned scoops!